Before there were digital audio workstations and mobile apps that could produce quality audio, there were bulky keyboards and cryptic synthesizers that shaped the sound of progressive music. There are thousands of modular synthesizers, software sound generating applications and hundreds of custom patches. This epic world of easily accessible sounds all started with some of these classic progressive synths. Musicians inspired by these retro sounds can learn more of the inner workings of the routing used in these classic machines. Released in 1969, the EMS was one of the earliest configurable modular synthesizers. While it didn’t make massive contributions to the era’s sound-scape, it was one of the first portable and dynamic synthesizers. Settings are created by fiddling with it’s 16 x 16 plug grid that controls the internal routing. It mostly was used to create eerie sci-fi sound effects and atmospheric tones, but it did make its way onto Led Zeppelin, Pink Floyd and Hawkwind’s albums. The Mini Moog – priced at just over a thousand dollars – introduced the thick filtered bass tones that are synonymous with electronic music up to this day. The earlier moogs had clunky patching cables that made it hard to configure. But the Mini Moog’s 1971 production version started a revolution in sound. The Moog introduced musicians to terms like ‘filters’ and ‘oscillators’ and brought new textures to the music world. The Moog’s famous bass line tone in everything from Kraftwork’s early albums to pop hits like Michael Jackson’s Thriller. Another 1970’s release that was made to compete with the Moog, the ARP Odyssey is one of the first polyphonic synthesizers, able to play more than one note at a time. Its brassy lead sounds are now associated with electro music from several decades of music. The excellent sounds can be heard on everything from Herbie Hancock’s funky 70’s works to Nine Inch Nails industrial grind. At its nearly $7,000 price point, the Yamaha CS-80 was professional level equipment. It also weighed almost 220 lbs. Although it only had 26 unchangeable presets, its true polyphonic nature meant this is one of the first synthesizers on which musicians could pound out huge synthetic chords. The CS-80 is the primary instrument behind the epic Blade Runner soundtrack and the famous “Chariots of Fire”. In retrospect, it is also greatly associated with the pop of the 1980’s such as Toto’s “Africa”. It has recently found new interest for its now “retro” tones on Empire of the Sun’s “Ice on the Dune”. Released in 1978, the MS-20 started out as a Moog competitor that didn’t quite make its way into popular music. It did, however, resurface in the late 80’s and 90’s. The two filters and two oscillators give it a whole range of squealy and bassy sounds. The Korg MS-20’s cheap price by the 90’s and the need for configurable dynamic synthesizers caused it to resurge in popularity. Daft Punk’s “Da Funk” best showcases what the Korg MS-20 was capable of. It was only the first of many great synths Korg would create. Sequential Circuits produced many great synthesizers in the 80s and they became a staple of movie soundtracks. Sweeping soundscapes and rumbling low ends were perfect for making eerie horror movie backing tracks. The Prophet 5 also one of the first synthesizers to find its place in hip hop music, being featured on Too $hort’s “Freaky Tales” and later on in Radiohead’s 1999 “Everything In It’s Right Place” – the song that ushered in a new era of electronic sounds for the band and the music world in general. 1979’s Fairlight CMI cost over $20,000 when it first came out. It was basically a giant computer that let musicians draw waveforms from scratch. A trained user could theoretically reproduce any sound with it. It was great for creating new and unique sounds. The Fairlight’s sound screams “eighties” vibe. Peter Gabriel, Kate Bush and Daft Punk’s idol Jean-Michel Jarre all made use of this machine that cost more than a luxury vehicle. It can also be heard on the Miami Vice theme song. The Wave was hard to learn, but could produce some excellent sounds. The Waves luscious pads and powerful bass were staples of soundtracks in the 80’s and used by Art of Noise and David Bowie. With the ability to produce sine, saw, triangle and square waves, the PPG Wave could produce classic sounds that found places in every style. The 1982 TB-303 is an interesting story in the synth world. It was never meant to be used to create iconic squeaky, slippery bass lines and powerful filtered ends. It was just a cheap toy made to play the bass lines while rock musicians practice, but it just didn’t sound anything like a real bass guitar. However, some innovative musicians found that if they turned the knobs while it was running, the simple bass tones morphed into epic squelches and acidic sounds. 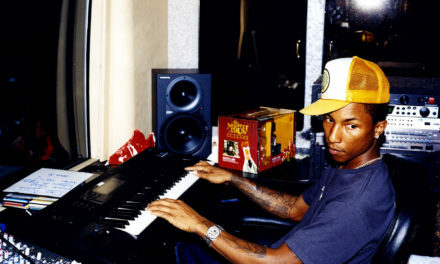 The 1999 Korg Triton is most associated with hip-hop and rap. It is one of the last successful modular keyboards before computers started to take over the world. The Triton was basically an entire studio in keyboard form. Artists could master and bounce tracks and do just about everything they’d do on a computer today. It can be heard on many Timbaland tracks and Neptunes productions and many of the 2000’s acts inspired by them. Musicians today can emulate most of these sounds using VSTs like those found in this article. Musicians who are getting into retro sounds will want to check out some of these sounds. The sound is completed with the right drum machines.